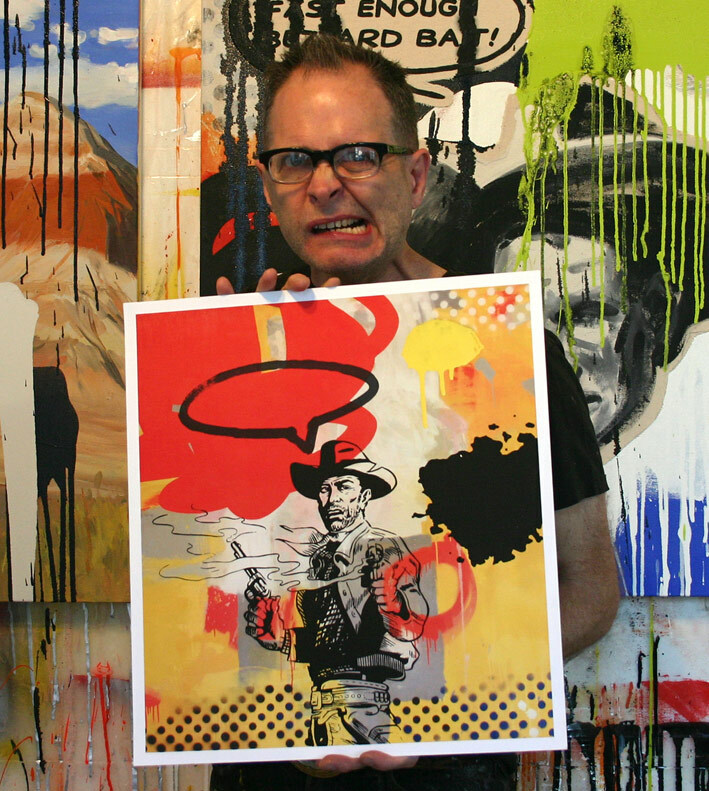 With a bold comic visual vocabulary and sensibility, Straub's paintings echo the period of transition between Abstract Expressionism and Pop Art. 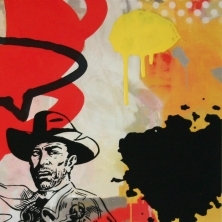 Featuring classic Western iconographic images of cowboys, cowgirls, guns, and horses, Straub's paintings and collages depict the humorous and violent narratives and sentimental mythologies of the American West – a landscape defined by melancholy sunsets, badlands, gunfights, outlaws and red-blooded heroes. 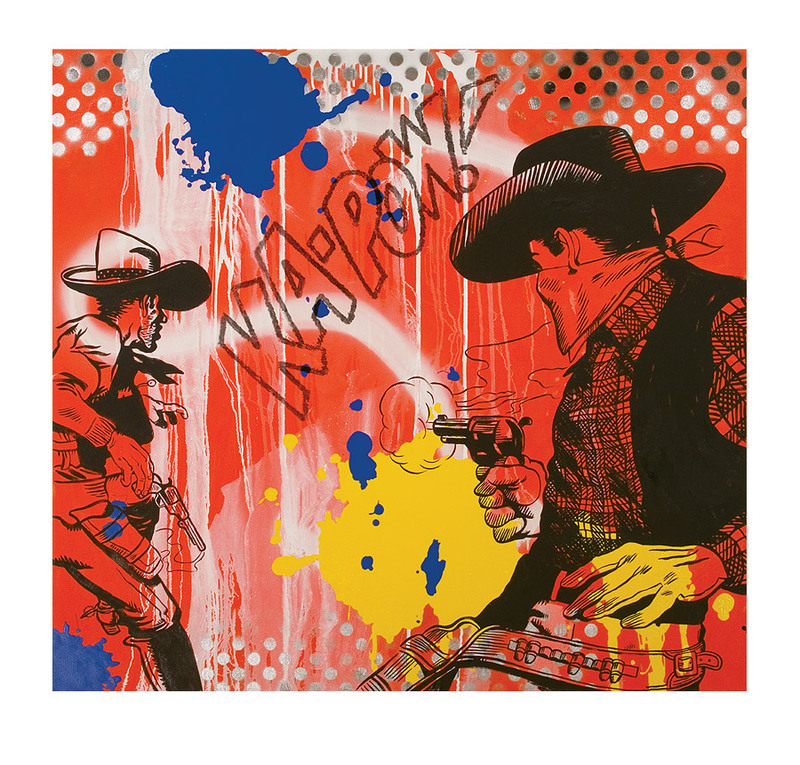 His references include Hollywood Westerns and the Comics and Pulps of the 1940s-50s. Ain't No Time To Argue!